Something's loose in the forest, but you're the predator on its trail. 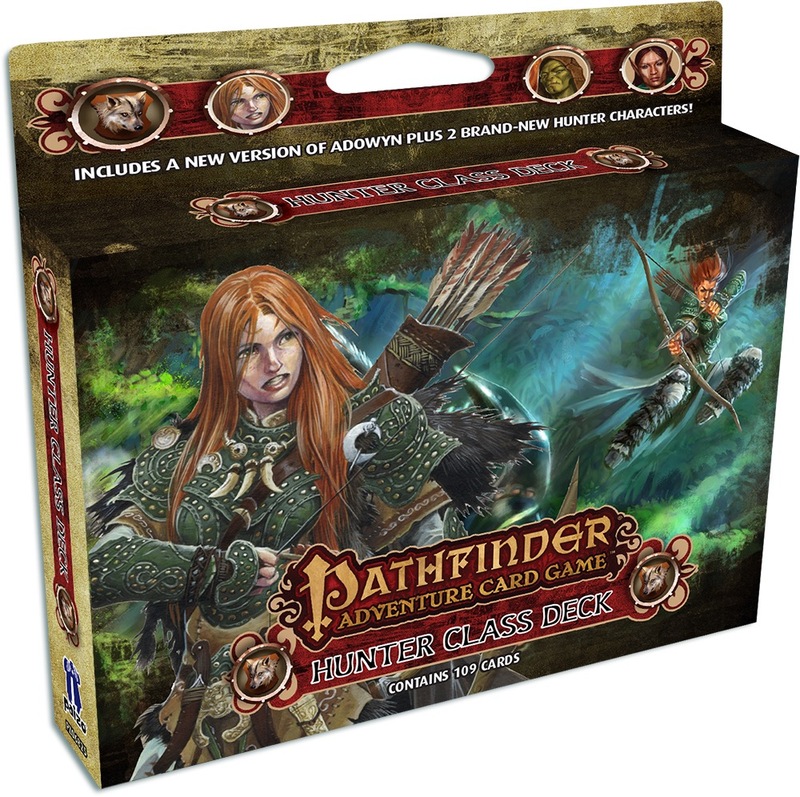 The Pathfinder Adventure Card Game Hunter Class Deck features three new characters who track down beasts and malefactors. 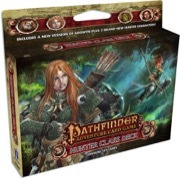 This 109-card accessory for the Pathfinder Adventure Card Game gives you the cards you need to take your hunter from whelp to alpha dog in any Pathfinder Adventure Card Game Base Set or in the Pathfinder Society Adventure Card Guild organized play campaign! YESSSSS! I've been waiting for Adowyn! Now I just need to hibernate until December. Excellent. I love the Hunter class, can't wait for this. Any description of the Characters? Adowyn-female human hunter. Dex/ranged based. Korundo- male half-orc hunter. str/mele based, also strong in cons. Ukuja - male elf hunter. dex/ranged based. all of them have a d8 or d10 for wisdom and then varied levels of divine and survival skills. Some very cool cohorts that are quite versatile, which will be especially nice for Korundo who has a powerfeat on primal master role card to allow him to swap out his displayed cohort at end of turn. Also a good selection of items and allies - the big problem is likely to be which ones to choose! Can we get a Card List for the Deck?